A beautiful addition to the garden, Elecampane has a myriad of uses from respiratory to digestive system issues. This warming root has been used for coughs, bronchitis, tuberculosis, and other respiratory conditions and is great at going deep to pull up stuck mucus, temporarily increasing coughing to help bring it up. In addition, Elecampane is great for digestive issues such as indigestion, gas and sluggish bile flow. Elecampane stimulates and moves fluids through the body. 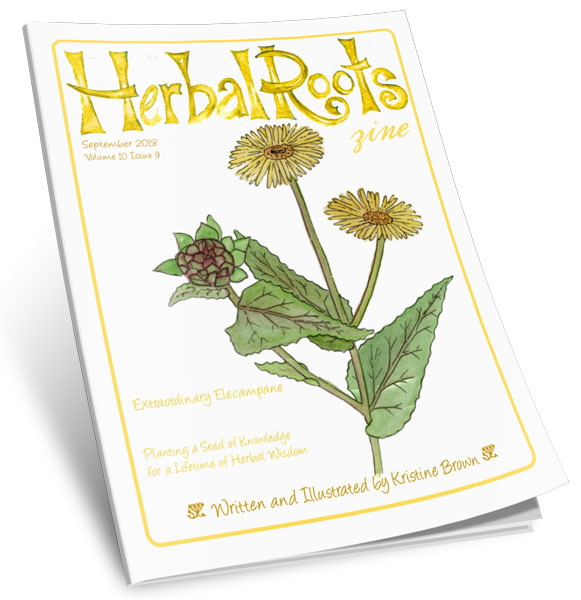 In this issue, we’ll talk about all of Elecampane’s uses and the best way to use this herb. Maze: Can you find your way through the Elecampane Flower?